“If you want to reduce dropouts and increase the number of on-time graduates, focusing your work on ninth grade students is consistently an effective strategy.” ~ Dr. Sandy Addis, Director, National Dropout Prevention Center. Freshman Success can be a key determinant of on-time graduation. But what do you do to help all of your ninth grade students get off to a successful beginning? We explore that question this summer at the first Freshman Success Conference, a production of the National Dropout Prevention Center. 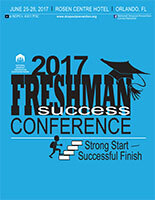 Presented at the Rosen Centre Hotel in Orlando, FL (June 25-28, 2017), this innovative conference is a unique, targeted event for anyone who is interested in the success of ninth-grade students. Who should attend? People who work with ninth-grade students, including teachers, administrators, principals, counselors, assistant principals, special education teachers, district leaders who support graduation efforts, graduation coaches. Also, eighth-grade teachers, administrators, and counselors who work to prepare students for the ninth grade. Finally, teachers, administrators, and counselors who work with students beyond the ninth grade and continue their transition and development into their sophomore year and beyond. What’s the format? This will be a highly-interactive, participant-driven event where we gather together to explore successful strategies in working with ninth grade students with a focus on the development of your action agenda to take back with you to your school. It’ll include whole-group work, breakout sessions, and special interest groups (i.e., teachers, counselors, administrators). We will feature TED-Talk style segments, EdCamp portions, and panel discussions. This event will put you together with experts who have demonstrated exceptional success in working with ninth grade students, as well as colleagues from across the nation who you will learn with at the event, and continue to grow with throughout the coming year. Dr. Mark Wilson, 2009 National High School Principal of the Year, will address the significance of school climate and culture in dropout prevention and the role of the principal and school leaders in establishing a high-graduation-rate climate that is safe, orderly, inviting, and nurturing for all students, especially those at risk. Dr. Wilson will offer specific strategies for climate enhancement that may be included in school dropout prevention plans and methods for assessing climate improvement. Mark will also help the teams identify the right combination of data points and measures to analyze, monitor, and make decisions as to progress on actions in the plan and determine appropriate next steps in this arena to tackle the dropout rate issue. 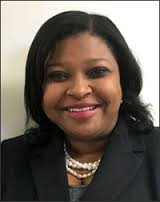 Currently in her twenty-first year in education, Dr. Barron served six years as a high school English teacher and coach, two years as a middle school assistant principal, and nine years as a middle school principal in Newnan, Georgia. She serves as a part time assistant professor at the university level, and she is currently in her fourth year serving as the superintendent of the Evergreen School District in Kalispell, Montana. Dr. Barron is a National Board Certified Teacher and was honored as a Teacher of the Year and STAR Teacher. Her work as the principal of Smokey Road Middle School in Newnan, Georgia led to her selection as the 2013 MetLife/NASSP National Middle Level Principal of the Year and to Smokey Road Middle School’s selection as a one of five middle schools in the nation to be named a 2011 MetLife Foundation–NASSP Breakthrough School. Kevin Gaines is a 1996 graduate of Hart County High School. Kevin earned a Bachelors of Science in Mathematics Degree from Georgia Southern University. He later earned a Masters in Education in Administration and Supervision from Clemson University, and an Education Specialist in Administration from Lincoln Memorial University in Tennessee. He was in his fourth year as an Assistant Principal at Stephens County High School prior to accepting the job as principal at Hart County High School. Johnson has been a high school principal for 10 years, including four at Atlanta Public Schools Jackson High School. In September, she represented Georgia for the National School Principal of the Year award. Dr. Sandy Addis joined the National Dropout Prevention Center/Network staff as Associate Director in May of 2013 and currently serves as Director. He holds an Ed.D. in Educational Leadership from South Carolina State University. He has 44 years of experience in public education in a variety of roles that include teacher, counselor, coach, principal, system-level administrator, and director of a regional educational service agency. He has designed and administered a variety of dropout prevention initiatives that include after-school programs, counseling, and service-learning. Dr. Addis has served as an alternative school principal and authored numerous grant proposals that funded summer programs, professional learning, family engagement, and character education. Dr. Addis has served as an adjunct instructor at several colleges in South Carolina and Georgia, trained local school boards, and consulted with local school systems on policy and leadership development. He has led educator teams in the development and distribution of student achievement measures and on-line systems for delivery of educator training. Dr. Addis has served on numerous professional boards, testified before legislative committees, and recently chaired the Educator Ethics Task Force of the Georgia Professional Standards Commission.